D (extremely upset) : Mom, you made me fall down. Say sorry to me. Me (slightly taken aback) : Oh, did you get hurt? I din’t realize that you were playing there. D (impatient now) : Mom, Can you just say sorry? So that I can say ‘It’s okay’ and we can be friends again? Me (without further ado) : I am sorry, D.
D (grinning happily) : It’s okay. I love you. This is a frequent occurrence at our place. D is prompt to say sorry, sometimes out of his own volition, and always when asked nicely (though we can never intimidate one out of him). He expects the same out of us. He is equally generous with his ‘It’s okays’. The times that his sorry doesn’t get a quick and happy ‘It’s okay’ in response, he gets rather confused. Life is simple for him. People make mistakes. They say ‘Sorry’. The others say ‘It’s Okay’. They live happily ever after. No ego clashes. No grudges. No resentments. The above conversation made me think about how as we grow up, we kind of lose touch with the simplicity of our childhood. Sometimes, it helps to see the world through the eyes of our children. In their world, everything is beautiful and exciting, letting go is easy, and being happy is important. As I raise a child of my own, I realize the truth in the saying “As much as the mother shapes the child, the child shapes the mom”. Our innocent little young ones have much to teach, as long as we are open to learn. Don’t you agree? *This post is written for the AtoZChallenge. You sure have got a great kid there. This is so true Shanaya! I love this post. Now if only we as adults were so quick to say sorry and to forgive! There would be way less strife in our world today! I guess I am more like D! I always believe in saying a sorry and forgetting the frightful episode of hurt and heartbreak. But the adult world doesn’t work that way, I guess! 😛 I loved your post, Shantala. I am sharing this on my FB page if you don’t mind! Totally agree with you, such a sweet post – we have a lot to learn from kids…. thanks for this inspiring post ! This post brought smile on my face Shantala. So very true. Really its worth learning frm kids. No carrying the baggage of grudge. Just innocence., Forgive & Forget is their rule of life. I so agree with you, Shantala. And, really, how simple life is for kids, than for us, adults. I think we complicate it with our expectations and beliefs. If only we let go of a few things, life will become simple again, and a lot happier. And, this we can learn only from our kids. Very true, we learn a lot from our children not just when they are young but as they grow too. Nice post. Yes, they do have lots to teach us. Enjoyed reading your post, glad your son wasn’t hurt. I agree! They’re such pure and innocent beings unfazed by the cynicism that shade adulthood. Having two of my own…I can totally relate and agree with what you have said! I have always thought so too, that kids teach us more than we can ever teach them! sweet, and thought-provoking post! This is very sweet…it’s great when kids learn basic manners and I love how some of them insist that parents use it too. 🙂 D is obviously learning all you have to teach him and teaching you a lot in the process. I wish sometimes, life was as simple as it was when we were children! Kids are amazing at their ability to forgive and forget. Kids always have simple solution to complex problems, we need to just remember that 🙂 Great post as usual!! It is always as easy as that – saying sorry and forgetting the whole incident. 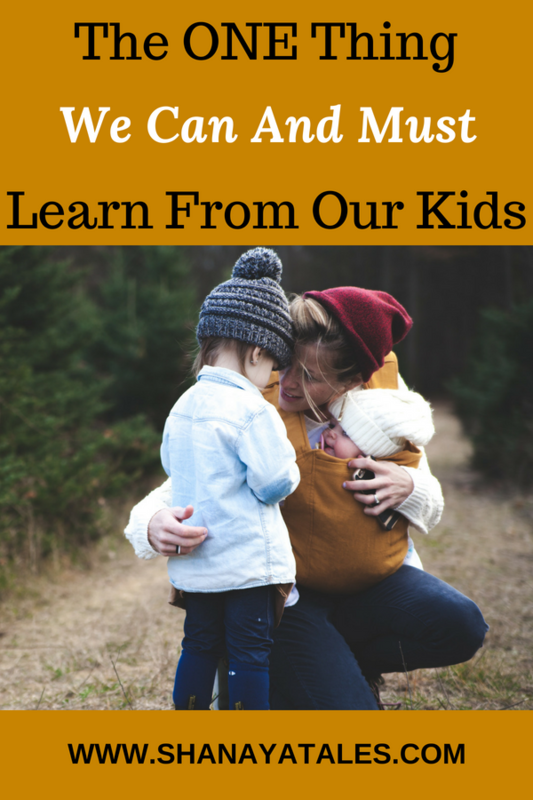 Kids teach us so many important things that we need to learn! We just have to keep our minds open to learn it from them. So true Shantala. O kids have a lot to teach, if only we’re ready to learn..
What a wonderful young man. It is so much simpler when we can just say sorry and then be forgiven. True. Life is so simple for kids. As we grow up, we complicate things. That is so true, children don’t usually hold grudges. Love the quote at the beginning. I have said in a post of mine, that it is easy to live if we harbour child-like attitude. The harder we think to tame life, it becomes more complicated. That being said, we still should pursue the true happiness, irrespective of what the world says, and never to regret from doing it in our dusking life – which is possible only if we keep the innocence alive in us. I definitely agree! Forgiveness is beautiful! I used to say sorry and thank you so often. But now a days a sorry, even when it’s not our fault get s a lot of criticism and logical explanations. We make things so complicated. I agree. Adults love to complicate the simple. Sigh. Totally agree – we are never too old to learn – or to be reminded… Kids are great teachers – and great to see the world through their eyes.. And the simplest way is often the best way. Say a sorry, a kind words, and move on. That’s great! Kids are our teachers too! Oh yes completely Shantala 🙂 Kids are indeed the best teachers. I feel whatever we teach them is textbook material, what they teach us in return is for life. 🙂 Great post. Totally loved this one. It’s true, we adults tend to complicate things as we grow. Childhood was simple and I wish it remained the same. Children truly teach us much more than we teach them. And sometimes it feels great to be reminded of those forgotten lessons all over again.